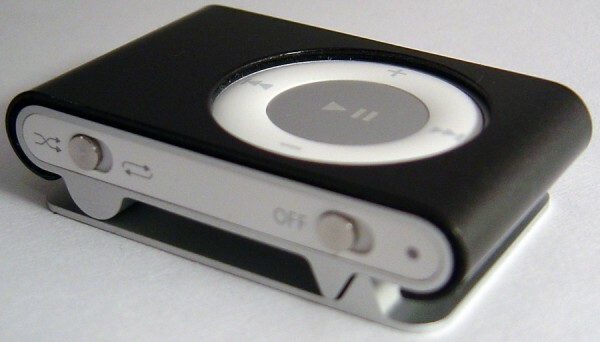 All three of the cases protect the front and sides of the iPod Shuffle. In addition, the crystal and silicone sleeves protect the top and bottom. The silicone sleeve is the only one of the three that also protects the click-wheel. The steel sleeve has an inner lining of foam to prevent scratching the unit and is the strongest. Despite this, we would still rate the silicone sleeves to offer the best protection for your iPod Shuffles. 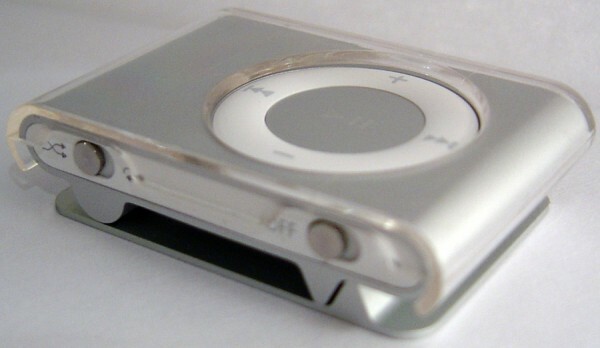 The steel sleeve has a neat and tight fit around the iPod Shuffle giving it a new expensive and stylish look, while the other two do just the opposite. The clear crystal sleeve looks a bit cheap, easily traps dust, and shows scratches. The silicone sleeve captures even more dust and has a considerably large Proporta logo on the front, destroying the simplicity. Of the three the steel sleeve is, by far, the best looking case. Currently available colors. Steel: black, blue, chrome, green, pink, purple, red, silver, and white. Crystal: black, blue, clear, pink, and red. Silicone: black, blue, pink, and white. All cases have openings to allow access to all necessary buttons and ports. Although the cases don’t affect the actual usability of the Shuffle, they do create one major flaw. Because the sleeves wrap around the iPod, they no longer can be placed into the provided dock unless removed. Removing the case constantly may become somewhat of a hassle for those constantly sync or charge their iPod Shuffle. We do not know if it is possible due to the current design of the dock, but Proporta should consider including some sort of adaptor to save users the trouble. Although the silicone sleeve does the best job of protecting the iPod, our favorite case was the steel sleeve. We suggest purchasing some type of case for the Shuffle since it’s so tiny. Each of the three models will cost $8.95. Although it may seem a bit expensive for such a small piece of material, it’s still a good price considering the $80 iPod it protects. Unfortunately the cases are currently not available through the online Apple Store, but can be purchased directly from Proporta’s website (proporta.com). Finally (what you’ve been waiting for) since since you have read the Skatter Tech review, you are welcome to use ‘SKATTERTECH’ during checkout for a 10% discount on any of the cases mentioned above. If you know of any other better cases/sleeves for the 2nd gen iPod Shuffle leave us a note in the comments. Also check back for a review of Proporta’s 2nd gen iPod Nano Case! please can i make some kind of deal that i can get one please please please!!! if you wont how can i get hold of one of these pink case please o protect my shuffle??? ?